Our collection of Personalized Wooden Wedding Hangers is proof that The Knot Shop is the go-to source for unique gifts. 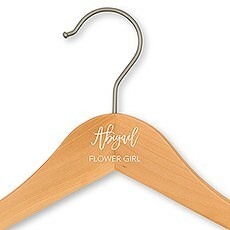 A personalized wooden hanger for your bridesmaids, mother of the bride, mother of the groom and flower girl is a practical but charming gift for your bridal party. 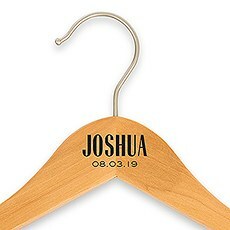 What makes them so special is that they can be personalized with a name, initial or monogram and will be a gift that your attendants will actually use long after the wedding has taken place. 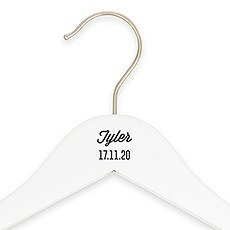 Personalized hangers also are a great detail to include in your wedding day photos. 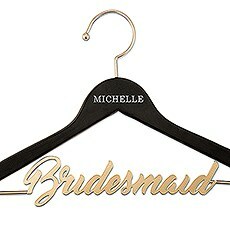 No professional wedding photo album is complete without pictures of the wedding gown draped elegantly from a hanger. Swap out the hanger you received from the bridal shop with one of our wooden wedding hangers for a sweet addition to your wedding day dress photos.Not just for the bride or bridesmaids, we have personalized wooden wedding hangers for the groom and groomsmen. 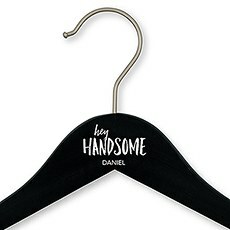 Treat your husband-to-be with a Hey Handsome hanger personalized with his name, so he will be surprised when it is time to put on his tux or suit. 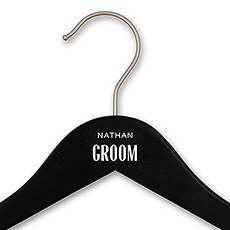 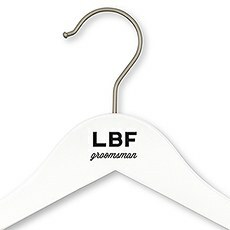 If you are the groom, give your groomsmen a hanger with their initials in block letters. They can use them to hang an expensive work suit or their fine dress shirts, fresh from the cleaners.Stumped on what to give someone who has everything or is difficult to buy for? 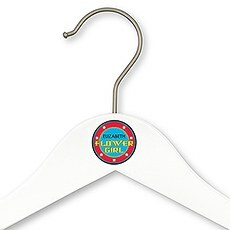 A hanger that is personalized makes a distinctive gift idea. 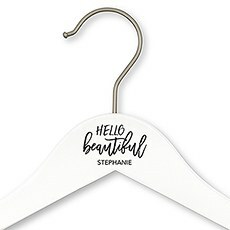 They are terrific for birthdays, anniversaries, hostess gifts, college students and for those who just bought their first home. Made to last, these hangers are crafted from quality wood and durable metal, and come in your choice of black, white and natural color finishes. They also feature non-slip grippers that help to prevent dresses, shirts and other items from sliding off.